After a two year absence from the international scene, Bertone returned to the Geneva Motor Show, unveiling the Alfa Romeo Pandion Concept car: an aggressive yet beautiful coupé designed as a tribute to Alfa Romeos’ one hundred year anniversary. The Alfa Romeo Pandion Concept is the first car produced by Mike Robinson in his new role as Design and Brand Director at Bertone. A pure ‘dream car’, the Alfa Romeo Pandion Concept takes its rightful place as a member of Bertone's historic Alfa Romeo family: cars that have always been style icons, influencing the history of the automobile and Italian craftsmanship in their excellent design quality, proving themselves to be undisputed benchmarks for the entire world of car design. The name comes from the animal world, as Pandion Haliaetus is the scientific name for an Osprey: a sea hawk that nests and lives in coastal areas. 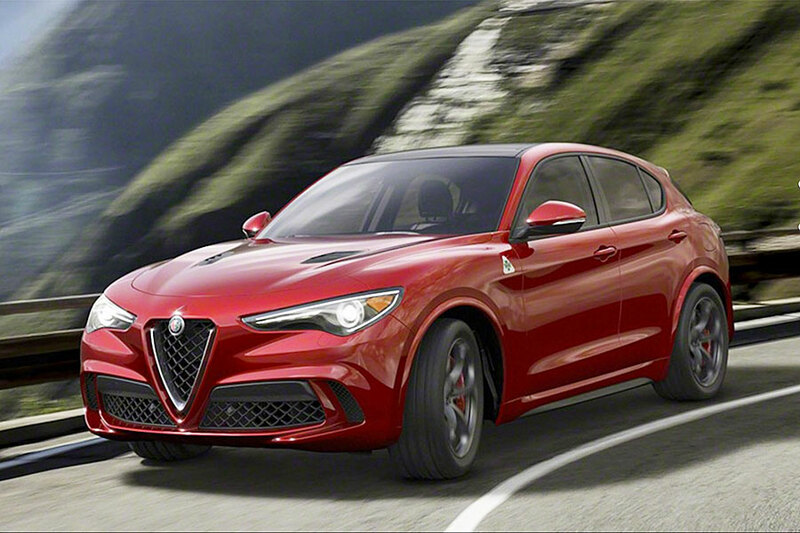 The designers, led by Mike Robinson, have drawn inspiration from the wings of this predator to invent the spectacular door opening mechanisms, and from the hawks’ facial markings to project the traditional Alfa family feeling into the next era of design. The Alfa Romeo Pandion Concept's taut and muscular body is the result of an original interpretation of the Alfa Romeo badge, where the man-eating snake depicted there represents the attraction of elegance (what we call the ‘Skin’), and the aristocratic cross symbolises the rigour of rational thought, the technological aspect (what we call the ‘Frame’). According to this interpretation, the Alfa Romeo Pandion Concept's design is, like every Alfa Romeo, a perfect synthesis between ‘Skin and Frame’, an ideal balance resulting from a tension between opposites: technology and sensuality, rationality and instinct, architecture and sculpture, structuralism and organicism, industrial excellence and excellent craftsmanship. The design of the Alfa Romeo Pandion Concept is based on a concept Robinson calls: “Skin & Frame” – a new interpretation of the inherent duality in the 100 year old Alfa Romeo logo. “Skin” refers to the snake in the logo, representing the world renowned Italian excellence in beautiful, seductive forms; and “Frame” refers to the cross in the logo, representing the mechanical excellence in high performance Italian race cars. The combination of the two has now become a dynamic dial searching for an ideal balance resulting from the tension between opposites: technology and sensuality, rational and emotional, architectural layout and sculptural form, structural and organic, industrial excellence and artisan excellence. According to this interpretation, the vibrant energy in every Alfa Romeo is represented by Pandions’ spinal structure (or ‘Frame’), which crosses the length of the car from the V-shaped grille in the nose of the car to the V-shaped bumper in the tail of the car, crossing the interior as a visually aesthetic structural element which supports the surrounding shell (or ‘Skin’). The Alfa Romeo Pandion Concept's front end features a long and sculpted sloping bonnet that creates what is, to all intents and purposes, a mask, almost like the helmets worn by ancient warriors. 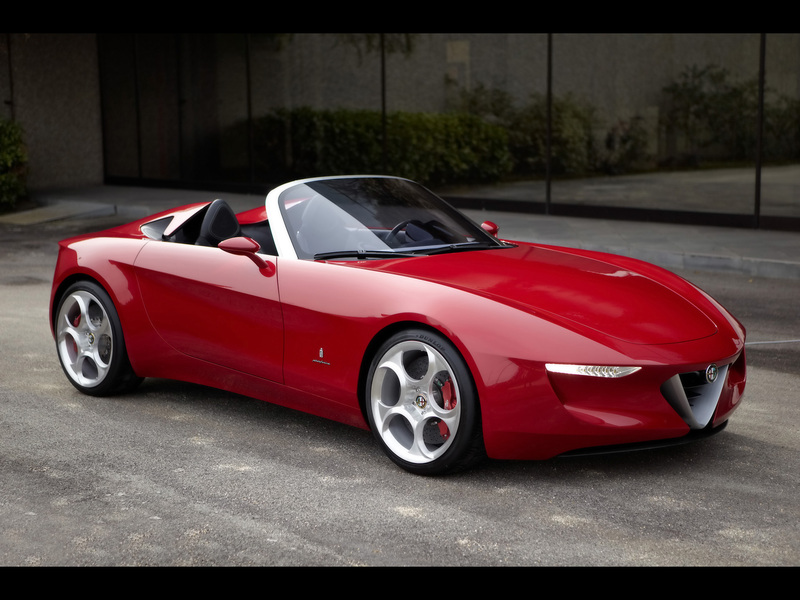 The Alfa Romeo ‘family feeling’, immediately recognizable at first glance, does not admit even a hint of retro nostalgia and looks to the future with a revolutionary and novel elegance. 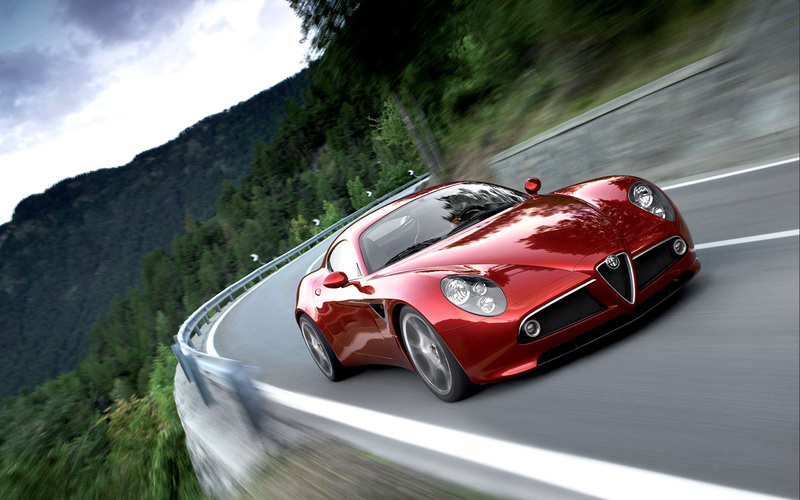 There is no doubt it's an Alfa Romeo with a look that has never been seen heretofore. The typical Alfa quad headlights are buried deep in the outer-most tips of the T-shaped grille, highlighting the wide stance of the impressive coupé. Four white bars of light strike the observers’ curiosity, two position lights above and two fog lights below, creating a virtual bi-plane of light at night. The typical five horizontal bars on every Alfa Romeo radiator grille are just visible here, offering a reference to the marque's historic identity. The front grille is full of thousands of tiny intertwined blades which contribute to the new Algorithmic Design throughout the car. The Alfa Romeo Pandion Concept has the profile of a true sports car, with no room for compromise. The architectural layout is ‘cab rearward’, meaning the passenger compartment is positioned towards the rear of the car and the long bonnet pushes the car's visual centre rearward. The body side visually connects the sensuous front end with the razor-edged rear by means of an extremely long flowing side window which stretches from front wheel arch to rear, enhancing the excellent accessibility of this low-bodied sports coupé. Since sports cars are traditionally difficult to get in and out of, this important ergonomic activity has been facilitated with an extra wide door opening to make up for the low roofline. This new graphic formula not only adds a striking new visual division between the upper and lower parts of the body, but it also offers an incredible panorama window for passengers inside. The strong diagonal dark-light division in the rear of the side view accentuates the powerful rear wheel drive layout and draws special attention to the hidden door opening mechanism. The rear end features a striking array of crystal-like blades which are intertwined in various widths and lengths, protruding out into space. The rear of the car in fact has a disembodied or “pixilated” look, representing a tail-of-the-comet metaphor, as if the sheer speed of the vehicle is pulling the underlying, technical “Frame” rearward, away from the sensuous, flowing “Skin” above. This “dematerialization” phenomenon of the car is generated by the intrinsic motion of the form, which means the car looks like it is moving even when it is standing still. The doors, as in many other Bertone-designed masterpieces (such as the 1968 Alfa Romeo Carabo, the 1970 Lancia Stratos 0, the 1972 Lamborghini Countach, and the 2007 Fiat Barchetta), open in a visually striking manner. Virtually hinged around the axis of the rear wheel, the Alfa Romeo Pandion Concept doors open by rotating backwards, ending up a perfect 90 degrees above the center of the rear wheel, lifting up the entire body side of the vehicle, from the front fender to the rear fender. When fully open they are more than 3.6 metres high. This spectacular solution is design mainly for glamour, bringing back the “wow” factor to today's lackluster automotive industry. This futuristic door mechanism also has a pragmatic side as well. Since all ‘extreme’ sports cars are literally impossible to get in and out of, the Alfa Romeo Pandion Concept is designed to utilize the horizontal space in the car since the vertical space is so limited. In the event of an accident that results in a ‘roll-over’, the doors detach from the car body so that the passengers can exit of the car. The design language used to create the passenger compartment has resulted in a fluid environment, due to the fittings that seem to have grown spontaneously, without ever having been either designed or constructed. We have named this expressive code, never seen before in the automotive sector until today, algorithmic design. The concept, taken from the world of mathematics, indicates an organic alternative to traditional design and is the ‘propagation of random forms’. It is as if the design were following a kind of complex development which is neither linear nor geometric, generating an ‘auto-organising’ shape, with the ‘spontaneous growth’ of algorithms such as ‘swarms’ or ‘vines’. When observing the interior of the Alfa Romeo Pandion Concept, the first things that draw our attention are the front seats. The car's layout is typical of Alfa Romeo coupés, i.e. 2+2. While the two rear seats are the classic ‘extra spaces’, the front seats are two incredibly thin (30 mm) ergonomic chaise longue chairs. They have carbon fiber shells (that mimic the style of the car's exoskeleton or ‘skin’) covered in Technogel® and backlit with reLIGHT® fabric, that conforms to the shape of the driver's or passenger's body. The principle that inspired the designers was that of ‘zero gravity’, i.e. a warm and welcoming environment that would convey a sensation of enhanced quality of life inside at first sight, but… with zero gravity. In fact, all the furnishings inside the passenger compartment all tend to float visually, suspended in the magic of the blue light. Behind these minimalist choices however lies a careful study of ergonomics: the seats are the result of a perfect synthesis between high performance, flexibility and lightness. The clear floor is illuminated in the same “swimming pool blue” color of the seats, offering a spectacular visual continuation of the voluptuous seats, with its’ flowing contours where the driver and passenger can feel protected in a truly glamorous shell. The steering wheel is clearly that of a sports car, while the controls are similar to those of Alfa Romeo race cars, with two analogue dials placed directly on the steering column. Three of the four LCD screens offer a rear view inside the passenger compartment (two on the sides, one on the windscreen) and they are directly connected to the external video cameras that substitute the rear view mirrors normally placed outside the car. The larger screen placed in the centre (9”), in the middle of the console – and within reach of the passenger as well as the driver – also displays information on the car's systems (air conditioning, sound systems, Sat Nav, etc…). ‘We are walking in the footprints of giants.’ That is the Bertone company motto. The giants referred to are Giovanni and Nuccio Bertone. However, following in their footsteps does not mean copying them, on the contrary. It means applying their teachings and using them as guidelines for further advances. We ask our designers to follow a total creative method, where they observe phenomena that are apparently unrelated to each other and try to apply them to the automotive world.